Vector Love Heart Summer Holiday design set on wave background. Eps10 illustration. 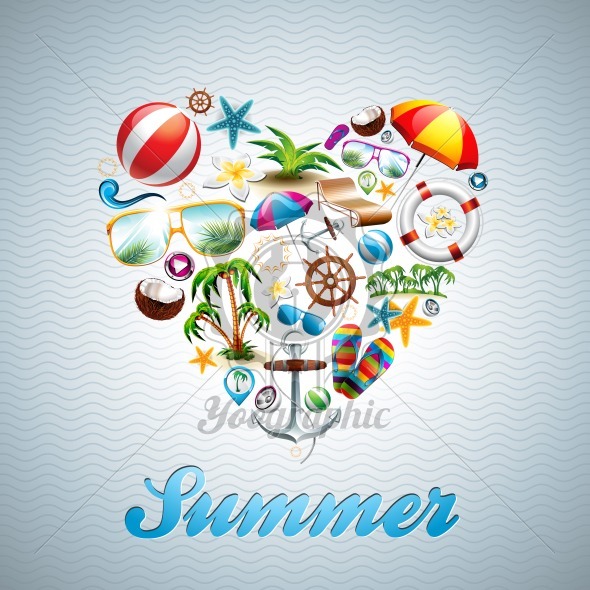 Vector Love Heart Summer Holiday design set on wave background.